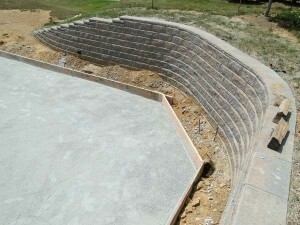 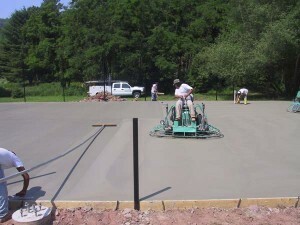 Post Tension Concrete | ProSport Construction, Inc.
Pro-Sport has been designing and installing P.T. 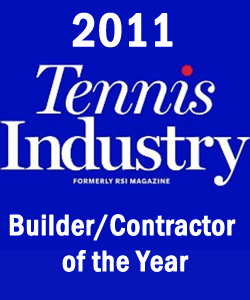 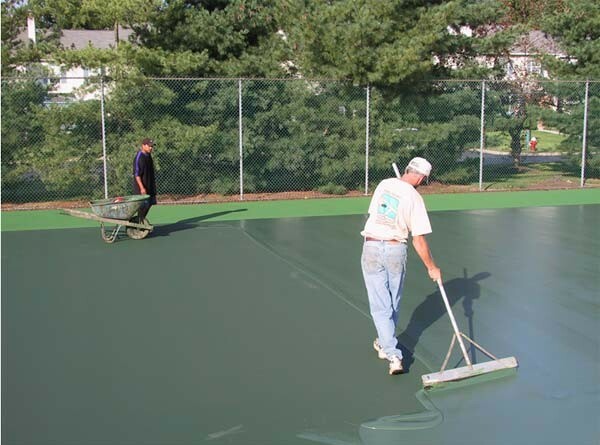 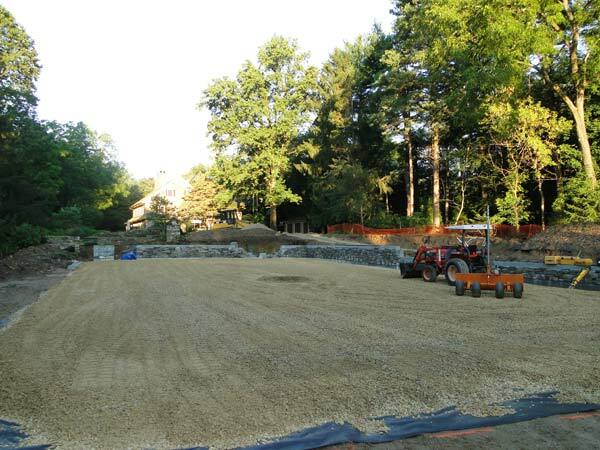 slabs for over 25 years and remains the only Tennis Court Contractor in the Tri-State area that has the knowledge and experience to provide in-house specifications and Turn-Key construction for any size tennis facility or private residence. 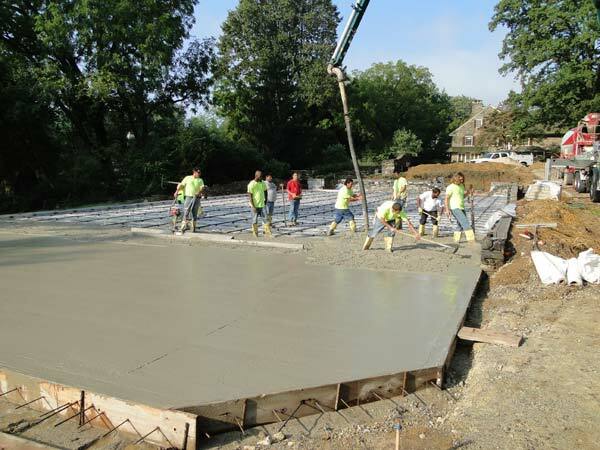 Post-tensioned concrete slabs were introduced in the United States in the early 1950's and are the preferred method of construction throughout the United States. Post-tensioned slabs are extremely durable and long-lasting (50+ years), resist cracking, heaving & settling, and provide superior planarity in the finished surface resulting in less puddling and waviness. 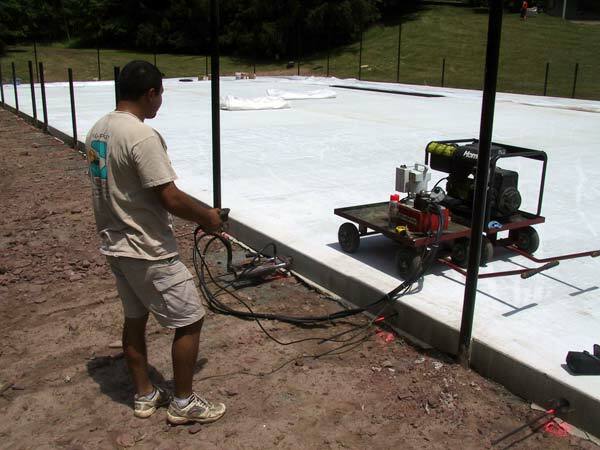 Post-tensioned courts are built utilizing ½” cables placed in both directions every 3-4’ within the concrete slab. 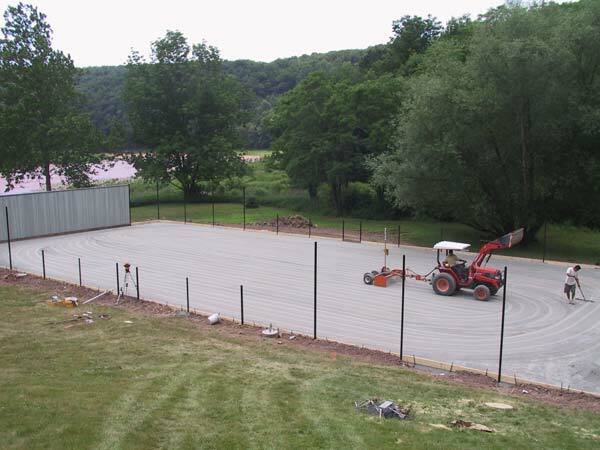 After the concrete has been placed the cables are tensioned to 27,000 lbs. 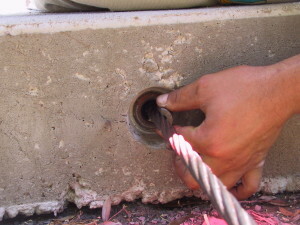 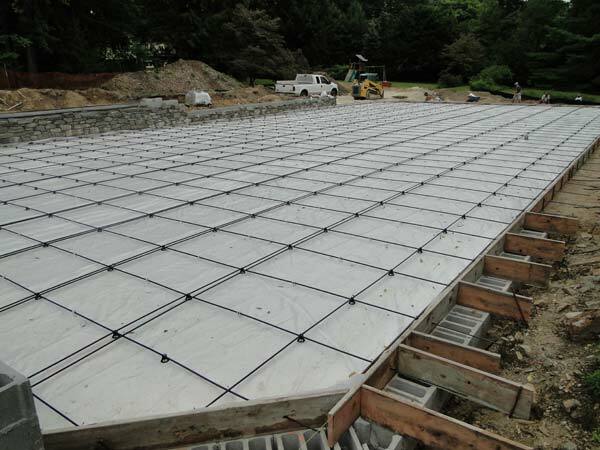 The tensioning process effectively compresses the slab preventing it from cracking. After full tensioning is achieved the concrete slab can be surfaced with a variety of products.